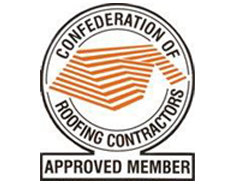 Ashton Roofing & Maintenance are a long established and highly regarded roofing business catering for the council, residential and commercial sectors in Southern and Eastern England. We specialise in catering for large housing associations and contractors; taking responsibility for any and all roofing and maintenance requirements throughout their domain. Partners with the likes of Mitie and Kier Group, we have developed strong relationships and a solid reputation for our dedicated, personalised services and work ethic.